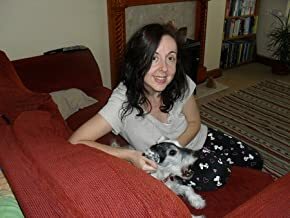 Today I’m thrilled to welcome author Michelle Slee to the blog as part of the blog’s ‘What’s in Your Bag’ series! If you are an author or reader who would like to participate in the series, check out all the details here! I live in Swansea, Wales – so daily faced with an inferiority complex caused by coming from the same city as Dylan Thomas. But I drink less than him so it’s not all bad. I love to run & row (recently completed a rowing marathon – my hip is wrecked for life), write (of course) and play World of Warcraft (I also write & blog about the latter as a clever cover up for being absolutely useless when I play the game). Christine thought she was happy. Until one day she discovers another life in an alternate universe. Fearing for her sanity she seeks the help of a university professor who introduces her to the world of quantum physics and infinite universes. She becomes increasingly drawn to her life in the alternate world – and to another man in this life – much to her husband’s horror. It soon becomes clear there are decisions and sacrifices to be made. This is story about choices, regrets and marriage, alternate lives and wishes unfulfilled. What’s in my bag (that’s unique to me)? I keep a handbag within my bag in case I need to look more formal at any time (the rucksack does’t seem posh enough somehow!). I have a ripped off piece of cardboard with telephone numbers on it – why cardboard I don’t know- I write on whatever comes to hand (one day I’ll do an entire book on post it notes!). I also have a tarot card – The Chariot. This is to encourage good teamwork, cooperation and success in work – some people might say more regular team meetings might do this just as well – I think they should be more imaginative! There is also a dark chocolate kit kat… I always fear being stranded somewhere without chocolate so carry a KitKat everywhere …it is refreshed daily! Thanks again for stopping by, Michelle Slee! You can learn more about the author via her Amazon author page for more info!